A memorandum letter is a semi-formal letter that is commonly circulated around the offices of the same company. The basic purpose of the letter is to notify specific people regarding a certain event or a change. 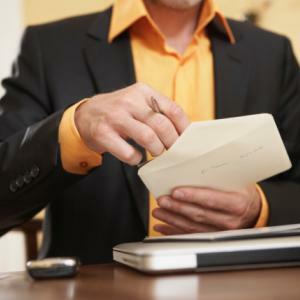 A Business Memorandum Letter starts with the name of the receiver and the sender. After that, the subject has to be mentioned. The first paragraph should include the details of the event or whatever decision the company has made. The specific date has to be mentioned from when the changes will be deployed or the date of the event. The second paragraph usually describes the details of the changes or the point of interest. Memos are generally informal and are used for basic communication within the company. The purpose of this memorandum is to notify you that there is a seminar being held on Selling Techniques for Food products at the Hyatt Continental Hotel on March 14, 2012, at 3:00 p.m. SimonTech Corporation is conducting the event and there are some very renowned guest speakers invited. The seminar will be very informative and the company would strongly recommend your team to attend it. The team would be required to report to the office as per usual timings on that day. However, the employees can leave the office at 12:00 p.m. to make sure that they reach on time. The management requires a list of the people who will be attending the seminar from you before you leave today so that the registration process in completed within the required time. Kindly encourage your team members to go to the seminar and ask them to be punctual. The company would appreciate your team’s efforts in this regard. This is to inform you that the company will be organizing a .................... event on ..................... at ....................... All of the employees are required to attend the event and we request the team leads to guide their members in an organized manner to the occasion. There is no registration required but all employees are required to fill the forms which have already been sent to their respective desks. The management is looking forward to seeing you at the event.